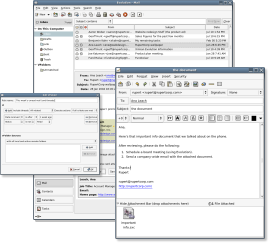 I’ve been using Evolution quite a bit in Linux Mint lately, and it’s really made me realize just how frustrating Outlook can be. After the jump is a list of features that I believe are missing from Microsoft Outlook. If you know of any easy way to add any of these features (other than payware add-ins), please let me know. Also, if there are other features that you’d like to see Microsoft add to Outlook, please feel free to post them.